Nose (86): average. honey, spices, citrus, toffee, vanilla, tobacco. Palate (85): powerful, oily. honey, spices, citrus, vanilla, wood, apples. Finish (85): longer than average. honey, spices, tobacco. 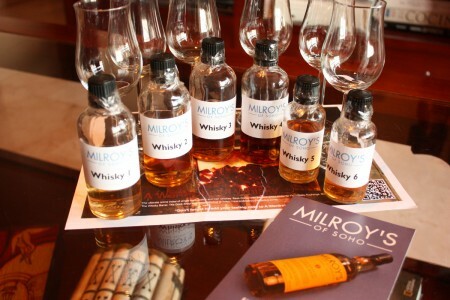 So based on other whiskies I have already tasted I rate this Milroys Finest Blended Malt with 85 points over 100. Nose (87): more than average. honey, citrus, floral, oranges, vanilla. Palate (88): powerful, oily. honey, wood, citrus, spices, oranges, cloves. Finish (87): longer than average. honey, wood, tobacco. 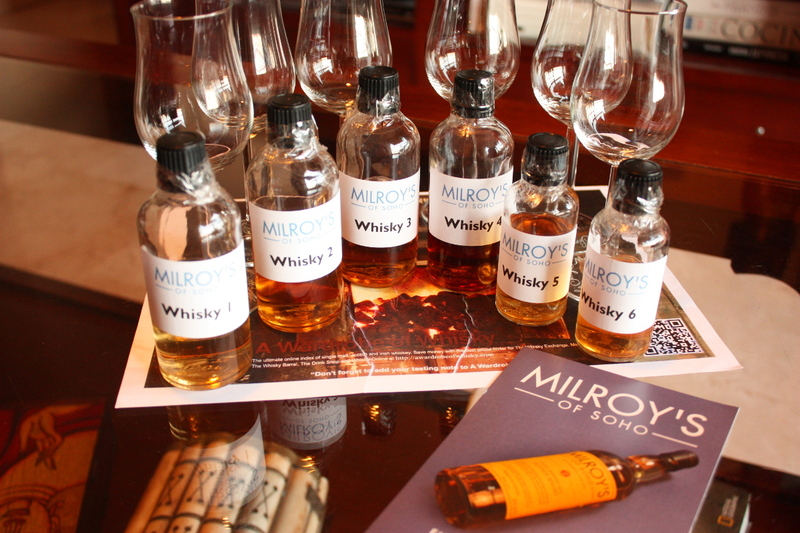 So based on other whiskies I have already tasted I rate this Glen Elgin 17 years old Milroys with 87 points over 100. Milroy's lastest bottling is the phenomenal and unique Dutch rye. Boasting 100% rye content, as opposed to the rye/corn mashbills seen in the United States, this rye offers intense orange aromas and citric flavours. Big and bold at only 46% ABV this is a whisky for Scotch and Bourbon afficianados alike. To cap it all off, this is the world's first single cask single rye whisky. Grab one while you can! 'The rye is actually a really nice batch. In my opinion it is from one of the best batches that we have done thus far. It took some time to age but it has this creamy rich texture that is quite rare.' Patrick Van Zuidam. Nose (90): more than average. honey, wood, banana, mango, citrus, vanilla. Palate (90): powerful, oily. honey, wood, spices, fruits, banana, tropical fruits. So based on other whiskies I have already tasted I rate this Milroy's of Soho Single Cask Zuidam Dutch Rye with 90 points over 100. Nose (91): more than average. nuts, caramel, honey, leather, citrus, molasses, vanilla. Palate (91): powerful, oily. honey, wood, leather, citrus, almonds, halzenuts, spices. Finish (91): longer than average. leather, wood. So based on other whiskies I have already tasted I rate this Millstone 14 years old Milroys Single Cask with 91 points over 100. Palate (88): light, smooth. peat, honey, citrus, earth. Finish (89): average. peat, honey. So based on other whiskies I have already tasted I rate this Milroys Single Cask Peated Malt 5 years old with 89 points over 100. Nose (86): more than average. citrus, floral, smoke, flowers, vanilla. Palate (89): powerful, oily. honey, floral, flowers, citrus, candies, vanilla, lemon zest. Finish (88): longer than average. citrus, spices, vanilla. So based on other whiskies I have already tasted I rate this Glen Garioch 1978 Single Cask Milroys with 88 points over 100. Surprising! My favorites on this tasting has been the great Millstone 14 years old and Zuidam Rye Single Cask. We also tasted a very old Glen Garioch 1978 ( my year! ) that although it was quite good, it wasn’t my kind of dram… too floral.